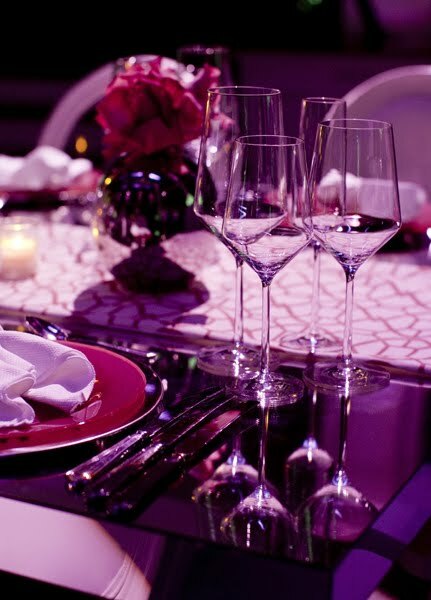 Have you seen this amazing event from Tres LA's Tastemake's dinner? This event brought together brilliant minds such as Kristin Banta (design and coordination), JL Designs (florals and decor elements), Fete Accompli (mirrored tables and white Louis chairs), Wildflower Linens (ultra luxe faux suede runners), Mimio Papers (silver boxed menus) and Victor Sizemore (photography). 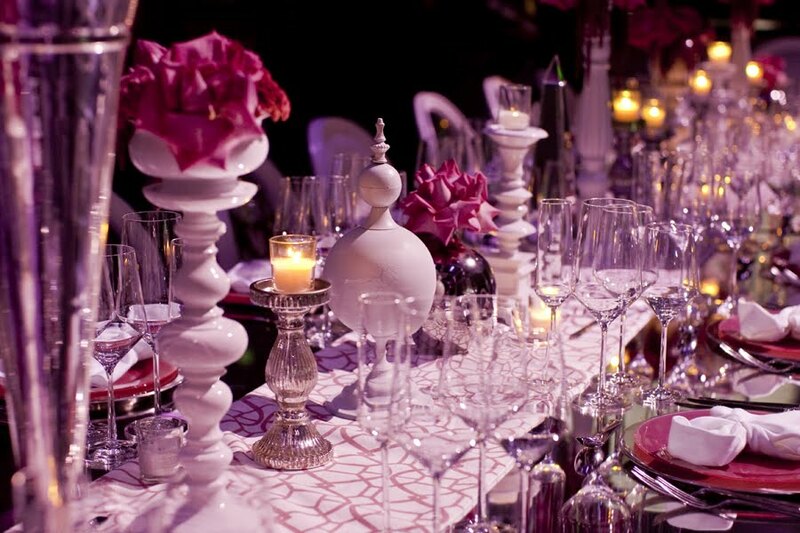 How can you not be inspired by this tastefully done mod Baroque and fuschia and white color scheme event? 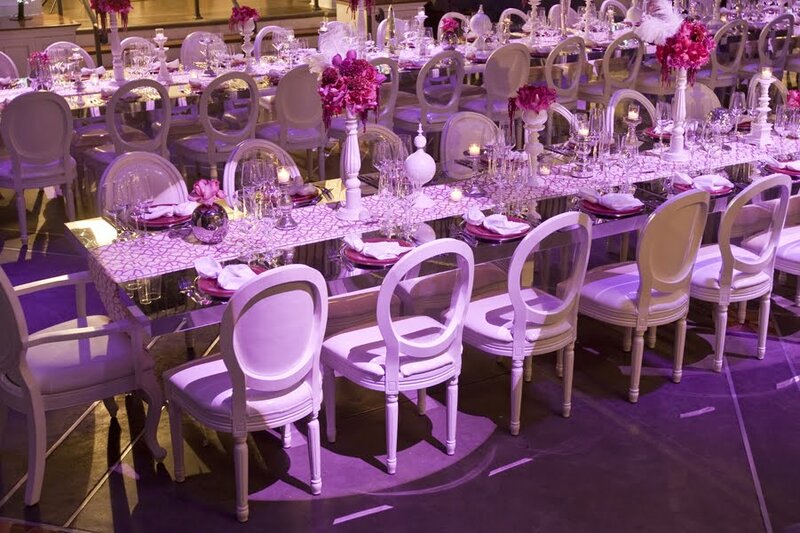 For all the details and a few great ideas on how you can incorporate elements of this event into your wedding, click here! 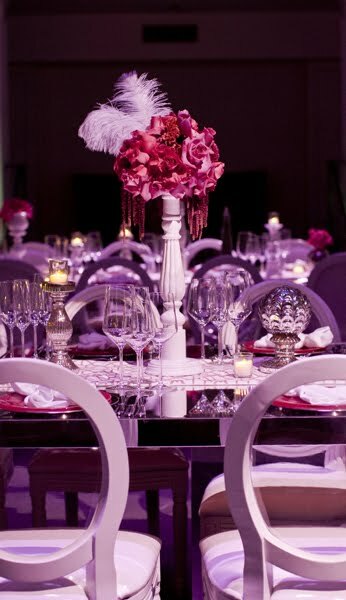 Images by Victor Sizemore via JL Designs Blog.